The director who calls the technology "restrictive"
Inception getting a 3D makeover? 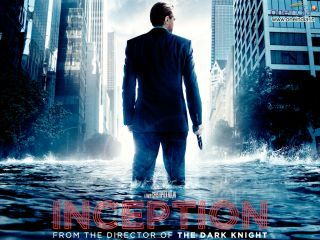 The director of Wrath Of The Titans, Jonathan Liebesman, has revealed that Christopher Nolan is currently converting Inception into 3D. Although this isn't confirmed by Warner Bros, the movie's studio, Liebesman was speaking to Moviefone about his own 2D-to-3D conversion of the Titans sequel and dropped the hint that Nolan was also in the midst of this process. "I didn't want to convert, but Warner Bros. showed me how far conversions have come," said Liebesman. "You've got Chris Nolan doing Inception, converting the DVD, you've got Harry Potter being converted, Star Wars being converted, so the conversion process has improved dramatically in the past two years." Nolan has never been entirely convinced about 3D, saying that the reason Inception wasn't shot in 3D, because the technology was "restrictive". This isn't to say that the director is totally against the idea of converting movies to 3D but we're sure this is more the studio's decision, rather than an artistic one. Liebesman should be worried about 3D conversion, too – Clash Of The Titans was roundly criticised for its pretty awful 3D transfer.